Ghost Recon Wildlands is a new video game by French video game company Ubisoft, and like last year’s The Division, this is an action game based on the writings of American novelist Tom Clancy. Ghost Recon Wildlands is a quite different video game, though, because while The Division took place in a post-apocalyptic New York, Wildlands is a tactical shooter taking place in a South American country (which wasn’t so happy about being chosen as the game’s setting, actually) overrun by drug dealers and engulfed in violence. The game’s recently released launch trailer gives players an idea of what to expect from this game, which adhered to Ubisoft’s usual open world formula and features intense third-person shooting action like in Square Enix’s Just Cause games. This launch trailer also shows the game’s villain, a ruthless drug dealer known as “El Sueño”, whom players will have to deal with during Ghost Recon Wildlands campaign. 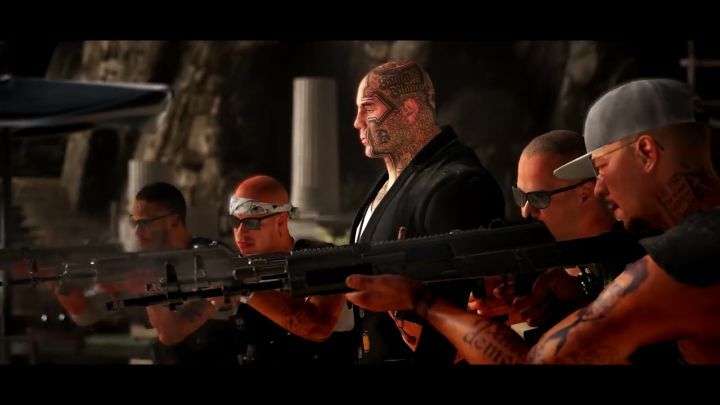 And this heavily-tattooed baddie sure looks like he means business, and will likely be a tough adversary to take down in Ghost Recon Wildlands lengthy single player campaign. So while Ubisoft could still delight gamers this year by announcing the eagerly-awaited next iteration in the Assassin’s Creed series, it’s clear Ghost Recon Wildlands could be a fun diversion and a tactical shooter game that might end up being another hit for Ubisoft like The Division was last year.